The Prince William Conservation Alliance recently honored two long-time members of the Virginia Native Plant Society, Nancy Vehrs and Jim Waggener, for their service, contributions, and advocacy for conservation. The Alliance works to explore, enjoy and protect our natural areas, and increase community involvement in stewardship opportunities. Nancy Vehrs received the 2018 Heart of Gold Award. A lifelong resident of Prince William County, Nancy is a tireless advocate for green open spaces. Thanks to her efforts, Prince William County adopted Virginia Bluebells as the official County flower. Nancy was important to the publication of the Virginia Flora, the first comprehensive reference work on the native and naturalized plants of Virginia. Nancy serves on the Board of the Upper Occoquan Service Authority. 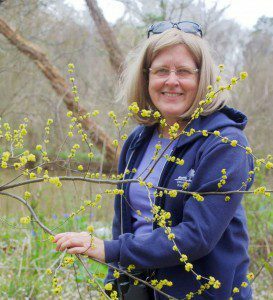 As President of the statewide Virginia Native Plant Society (VNPS) and Chair of their Prince William Chapter, Nancy focuses on promoting the use of native plants for home and commercial landscaping. She also leads weekly bird walks, has been a team leader at the Nokesville Christmas Bird Count since 2008 and leads a sector of the Manassas Butterfly Count. Jim Waggener received the 2018 Wildlife Champion Award. Jim is an inspiration to us all. For more than 30 years, he has led wildlife surveys in Prince William. These surveys use a standardized protocol and document high quality habitats and changes to species diversity for birds, butterflies, and plants. Jim has the second longest running butterfly survey in the U.S., which is used to study the long-term effects of land uses and climate change. Jim’s enthusiasm and knowledge has encouraged naturalists of all ages. After retiring, Jim began a study of flora and fauna on several public properties with important natural resources. 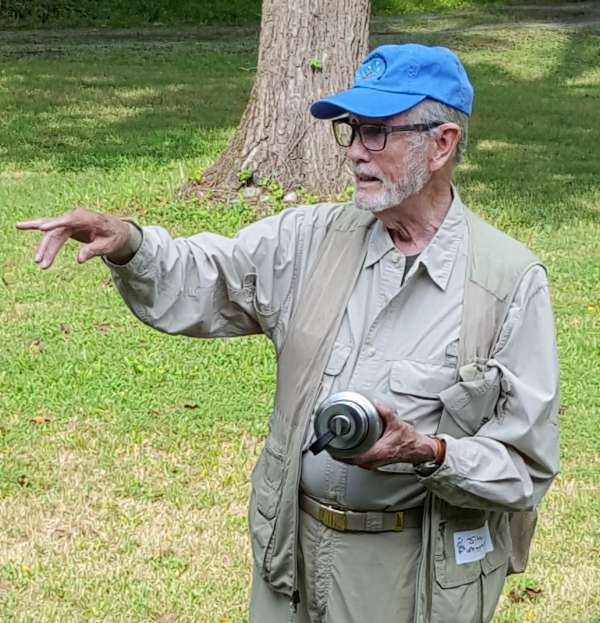 When development threatened wetlands and unique meadows of an Army laboratory in Woodbridge, he organized the public campaign that led to creation of Occoquan Bay National Wildlife Refuge. Similar work on Lorton Prison’s closure yielded conversion of a large private property on Mason Neck to the Meadowood Special Recreation Management Area. Jim founded and was longtime chair of the Prince William Natural Resources Council, and served on the board and as president of the Fairfax Audubon Society/Audubon Society of Northern Virginia (ASNV), for which he began the Audubon at Home project as well as writing and editing ASNV’s books: The Nature of Change and Birds in Northern Virginia.